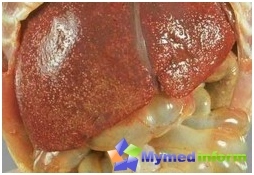 Liver - a very important organ, which inthe body entrusted with many functions. During the day, she repeatedly filters all our blood, making about four of such cleaning cycles. Largely depends on the state of health of the liver. And today we will focus on one of the drugs used to improve liver function. He called Kars. 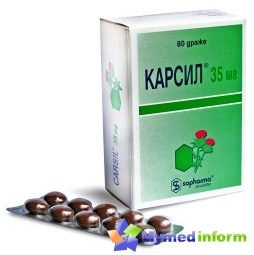 Medicine Karsil included in groupgepatoprotektorov affecting the hepatic cells. The active substance of this means - the plant component of silymarin, which is obtained from the fruit (seeds), milk thistle (Marin thistle, milk thistle). Positively affects the membrane of hepatocytes (liver cells are called so). 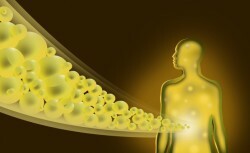 Protects Liver cells from negative influences. It helps restore damaged liver cells. It stimulates the production of phospholipids (this specific complex lipids having a phosphoric acid residue). It inhibits the development of fibrosis and fatty degeneration of the liver. It neutralizes the toxic compounds, toxic substances present in the blood. Normalizes blood circulation in the liver itself. Thanks silymarin Karsil encouragesTo improve the state of health of the person receiving it, normalization of laboratory values ​​of liver activity (bilirubin, transaminases and others). 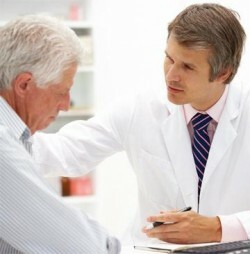 Patients note that patients receiving the drug have improved digestion. Appetite reappears. People with insufficient body weight gradually gaining the missing weight. Most of the components of Kars (about 80%) after the work done excreted in the bile, and the rest (about 5%) - in the urine. Available drug Bulgarian pharmaceutical company. «Sopharma», whose products are known throughout theworld. Karsil - a biconvex dragee form, having a brown color. 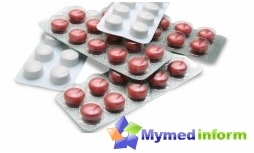 The package contains 80 pills, each containing 35 mg of silymarin. In addition it has also excipients - wheat starch, lactose monohydrate, povidone, talc, microcrystalline cellulose, dextrose monohydrate, sorbitol, magnesium stearate, sodium carbonate, acacia gum, macrogol, tsellatsefat, sucrose, diethyl phthalate, titanium dioxide, gelatin, glycerol, coloring . At the pharmacy you can meet and packing"Karsil forte" inscription. This means that in box 30 are cylindrically shaped gelatin capsules. Sami capsules are light brown and the inside is pale yellow or yellowish-brown powdery mass, from which emanates a light odor. In such a capsule is present, and 90 mg of silymarin auxiliary ingredients: lactose monohydrate, corn starch, microcrystalline cellulose, polysorbate, povidone, mannitol, anhydrous colloidal silica, sodium bicarbonate, crospovidone, magnesium stearate. The shell is composed of gelatine, titanium dioxide, and colorants. Drops (or capsules) must be swallowed before meals,washed down with water. Note that the capsule is not necessary to open and the pellets should not chew! Treatment usually lasts for at least 90 days (3 months). If severe pathology, the doctor may prescribe an adult 12 pills a day (4 pieces three times). When a light during illness or for preventive purposes can be assigned per day 3-6 pills (one pills three times a day or as two pills three times a day). If Karsil appointed a child, it is necessary to adhere strictly to the dosage and duration of treatment, these pediatrician. Since karsilom Forte much silymarinmore, taking it more convenient to take quite a day, only three capsules. Bioavailability in Kars Forte more of its higher effectiveness. In mild cases enough to swallow one or two capsules a day. To prevent toxic liver damage daily take one or two capsules. detection of individual intolerance of at least one of the components of the drug. Pregnant and breastfeeding women are advised not to take Kars, as there are no data on the safety of the hepatoprotective (not studied the effect on the fetus and infants). If the patient has impaired the work of the vestibular apparatus, it must be very careful while driving a vehicle or when working with complex mechanisms. Caution should be observed if the drug is assigned to those patients who have hormonal disorders (in carcinoma of the prostate, carcinoma of the ovary, uterus, breast, endometriosis. uterine myoma). This is due to the fact that silymarin found estrogen-like activity. If used together with karsilom woman takes oral contraceptives, their contraceptive effect may be reduced. Karsil may enhance the therapeutic effects of alprazolam, diazepam, lovastatin, ketoconazole, vinblastine. MirSovetov drew the attention of his readers to the fact that the composition of the drug have a wheat starch. Therefore, it is not prescribed to patients suffering from celiac disease, an allergy to wheat. The formulation has sucrose and lactose, so itdo not use for the treatment of people who have found galactose or fructose intolerance, Lapp lactase deficiency, glucose-galactose malabsorption. As part of the Carso have glycerol, so it can irritate the skin in some people lining the stomach and provoke headache. When these signs have to report them to your doctor, then it will cancel the drug and prescribe a gepatoprotektor. What else can be of undesirable effects? In rare cases - nausea, Diarrhea, itching, rashes on the skin, hair loss. 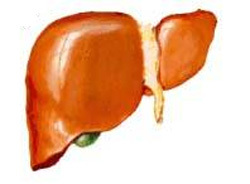 The majority of patients with liver diseaseswell tolerated reception Kars. And if still there are any of these side effects, they pass quickly after taking the medicine is stopped.